When I receive feedback like that... it might even be someone thanking me for taking the time to talk with them... I know that my work is meaningful and that it is valued - that's what drives me and that's what provides me with a huge sense of career and job satisfaction. I know how privileged I am to be in a position to contribute to both organisational and individual success in this way and I am very grateful that I now have a clear understanding of what drives me and how I derive meaning from my life. But like all career journeys it hasn't been easy... it's taken a lot of hard work and many hours of reflection to get here, but I'm very grateful that I have." Christian Ellston - October 2013. Christian's qualifications put him in the unique position of understanding both the athletic and professional pursuits of Career Athletes. Having completed a Bachelor of Education (Physical and Health Education), Christian has a deep understanding of the physical and psychological demands of elite sport on Career Athletes, Career Coaches and sporting administrators. To compliment this, Christian also holds a Graduate Certificate in Career Development that meets the professional standards of the Career Industry Council of Australia (CICA) and provides Christian with professional membership of the Career Development Association of Australia (CDAA). 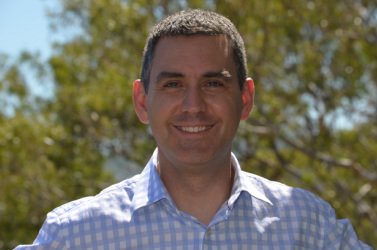 This unique background has honed Christian's understanding of contemporary career development strategies (especially the career coaching process) and enables him to specifically tailor career development services to Career Athletes, Career Coaches, administrators and professional sporting clubs and associations.